One of the first steps when getting more serious about producing video content with a smartphone is to look at the more advanced video recording apps from 3rd party developers. Popular favorites like „FilmicPro“ (available for both Android and iOS) usually offer way more image composition controls, recording options and helpful pro features that you find on dedicated video cameras than the native stock camera app provided by the maker of the smartphone. While quite a few stock camera apps now actually have fairly advanced manual controls when shooting photos (ability to set ISO and shutter speed might be the most prominent example), the video mode unfortunately and frustratingly is still almost always neglected, leaving the eager user with a bare minimum of controls and options. In 2015 however, LG introduced a game changer in this regard: the V10. For the first time in smartphone history, a phone maker (also) focused on a full featured video recording mode: it included among other things the ability to set ISO and shutter speed, lock exposure, pull focus seamlessly, check audio levels via an audio level meter, adjust audio gain, set microphone directionality, use external microphones, alter the bit rate etc. etc. Sure, for certain users there were still some things missing that you could find in 3rd party apps like the option to change the frame rate to 25fps if you’re delivering for a PAL broadcast but that’s only for a very specific use case – in general, this move by LG was groundbreaking and a bold and important statement for video production on a smartphone. But what about other phone makers? How good are their native camera apps when it comes to advanced options and controls for recording video? Can they compete with dedicated 3rd party apps? First off, let me tell you why in most cases, you DO want to have a 3rd party app for recording video (at least if you have an Android phone): external microphones. With the exception of LG, Samsung (and I’m told OnePlus) in their recent flagship lines (plus Apple in general), no stock camera app I have come across supports the use of external microphones when recording video. Having good audio in a video is really important in most cases and external microphones (connected via headphone jack, microUSB, USB-C or Lightning connector) can be a big help in achieving that goal. So why would you use a stock camera app over a dedicated 3rd party app at all? Familiarity. I guess many of us use the native camera app of a smartphone when snapping casual, everyday photos and maybe also videos in non-professional situations. So why not build on that familiarity? Simplicity. The default UI of most native camera apps is pretty straight-forward and simple. Some might prefer this to a more complex UI featured in more advanced 3rd party apps. Affordability. You don’t have to spend a single extra penny for it. I’m generally an avid advocate of supporting excellent 3rd party app developers by paying for their apps but others might not want to invest. The most important reason in my opinion however is: Stability/Reliability. This might not be true for every stock camera app on every phone (I think especially owners of Sony phones and lately the Essential Phone could beg to differ) but because of the fact that the app was developed by the maker of the phone and is usually less complex than 3rd party apps, chances are good that it will run more stable and is less prone to (compatibility) bugs, especially when you consider the plethora of Android devices out there. The V10’s stock camera app, despite being rather complex, is rock-solid and hasn’t crashed on me once in almost 2 years now. 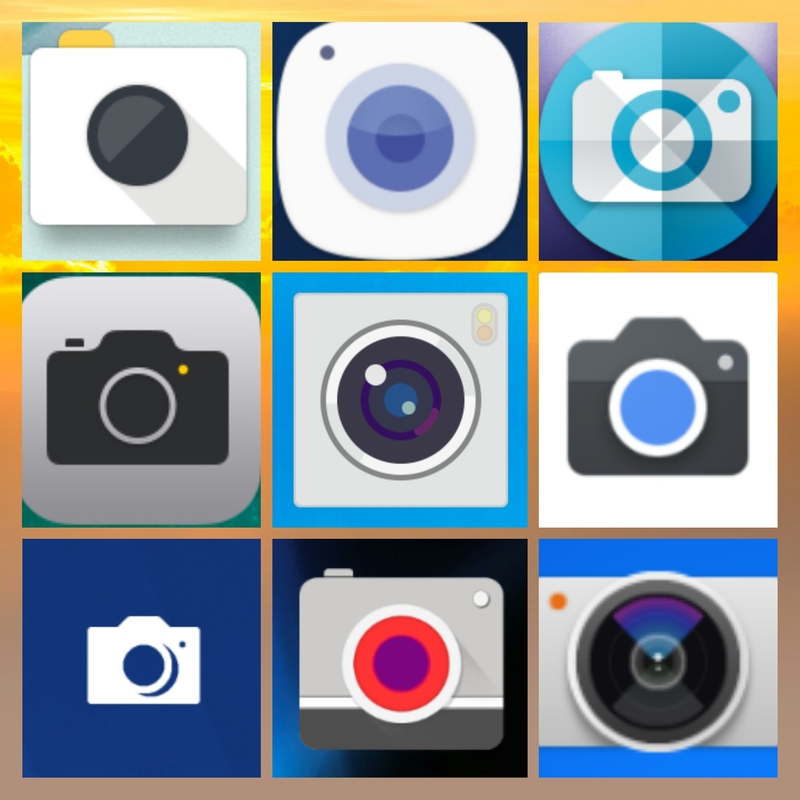 Over the last months I have taken a closer look at a whole lot of stock camera apps on smartphones from LG, Samsung, Apple, Huawei, Sony, Motorola/Lenovo, Nokia (both their older Windows Phone / Windows Mobile offerings AND their new Android handsets), HTC, Nextbit, BQ, Wiko and Google/Nexus. It goes without saying that I wasn’t able to inspect stock camera apps on all the different phone models of a manufacturer. This is important to say because some phone makers give their flagships models a more advanced camera app than their budget devices while others offer the same native camera app across all (or at least most) of their device portfolio. Also, features might be added on newer models. So keep in mind, all I want to do is to give a rough overview from my perspective and offer some thoughts on which phone makers are paying more attention to pro features in the video recording department. The lowest common denominator for recording video in a stock camera app on a smartphone at the moment is that you will have a button to start recording in full-auto mode with a resolution of 1920×1080 (1080p) (1280×720 on some entry level or older devices) at a frame rate of 30fps. „full-auto“ basically means that exposure, focus and white balance (color temperature) will be set and adjusted automatically by the app depending on the situation and the algorithm / image processing routine. While this might sound like a convenient and good idea in general to get things done without much hassle, the auto-mode will not always produce the desired results because it’s not „smart“ enough to judge what’s important for you in the shot and therefore doesn’t get exposure, focus and/or white balance right. It might also change these parameters while recording when you don’t want them to, like for instance when you are panning the camera. Therefore one of the crucial features to get more control over the image is the ability to adjust and lock exposure, focus and white balance because if these parameters shift (too wildly/abruptly/randomly) while recording, it makes the video look amateurish. So let’s have a look at a couple of stock camera apps.